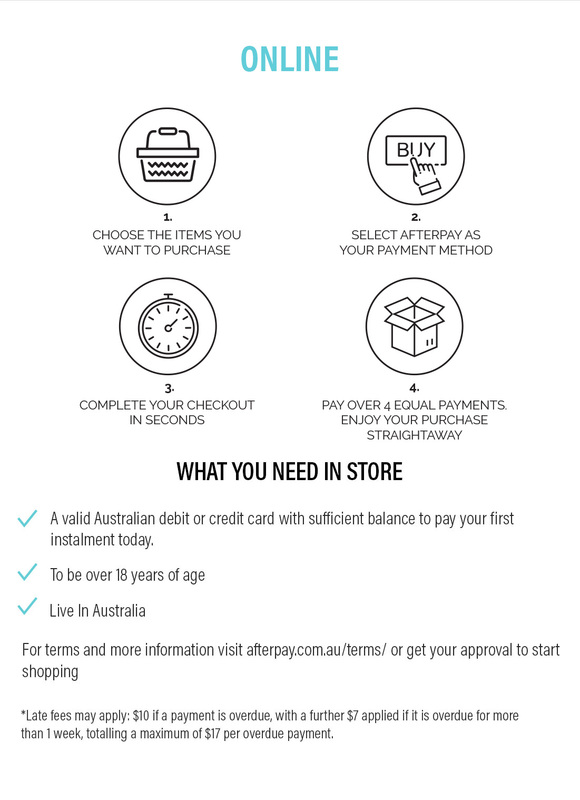 A straight up game changer, Afterpay gives you flexible payment options when you shop with Younger online. Rather than having to fork out all the cash at once, when you purchase through Afterpay, you can pay the cost of your items over four easy to manage repayments. Designed to suit you and your schedule best, payments are set up as fortnightly equal instalments.